This just in: Virtual reality (VR) isn’t just a fad. 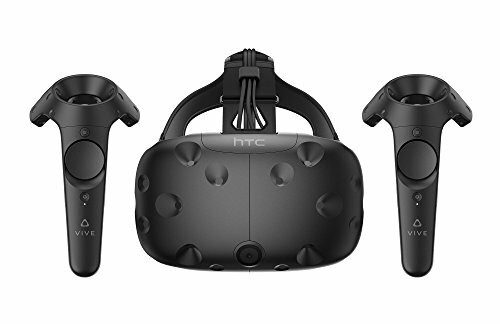 With both Steam and Oculus’ libraries of VR games rapidly expanding, now is the right time to jump into the world of VR gaming. But before you shell out for a VR headset and some games, it’s important to know if your machine can handle the load that VR requires. Don’t fret if your machine doesn’t meet the system requirements for either the HTC Vive or the Oculus Rift, because, in this article, we’ll review a list of ten best VR Ready PC desktops that are ready right out of the box. The first thing you’ll need to know is which VR headset do I want? That’s ultimately a personal choice and will be influenced by your machine’s specs, the library of games available, and your wallet. 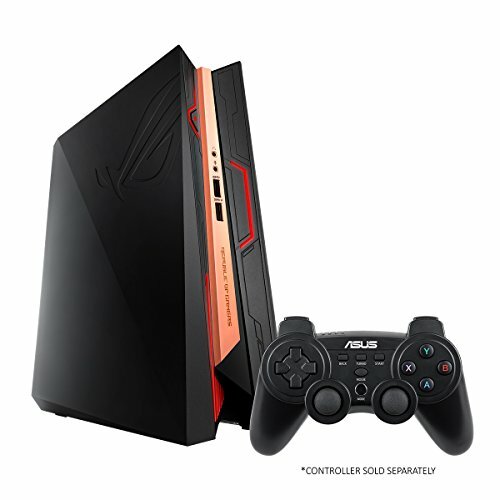 The ASUS GR8 II-T044Z is a small form-factor unit in ASUS’ Republic of Gamers line, designed to emulate the size and feel of a gaming console. Aesthetically, the design is interesting and definitely evokes the console feel. However, given that it is a proprietary form factor, upgrades or modifications are quite limited as space is at a premium. The 7th generation i5 processor is solid and should hold up for years. In terms of memory, 8GB of DDR4 RAM is sufficient for most tasks but could affect performance during intensive programs like VR. 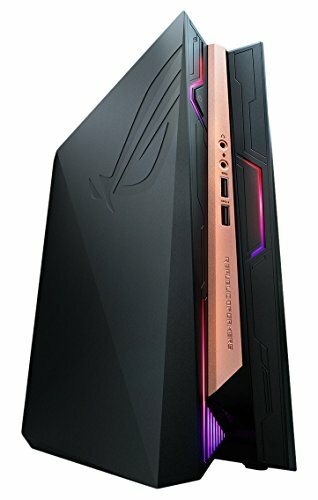 The ASUS branded GTX 1060 with 3GB of video RAM is sufficient for VR right now, but may not hold up to future standards for individual games or experiences. 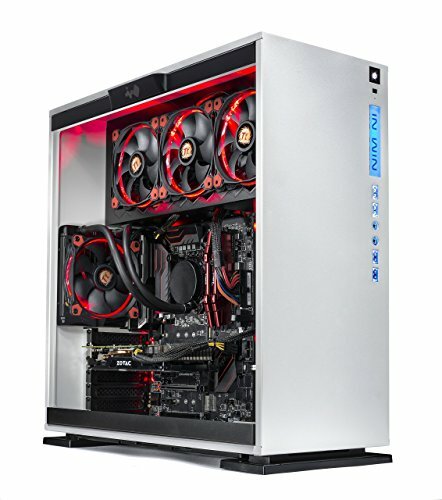 Additionally, given the compactness of the case limits airflow and may generate heat issues. All in all, the Republic of Gamers line of machines tends to meet most needs of gamers in general. The ASUS GR8 II-T069Z has many of the same features as the ASUS GR8 II-T044Z that we looked at above. It has the same form factor, same CPU, and same GPU. 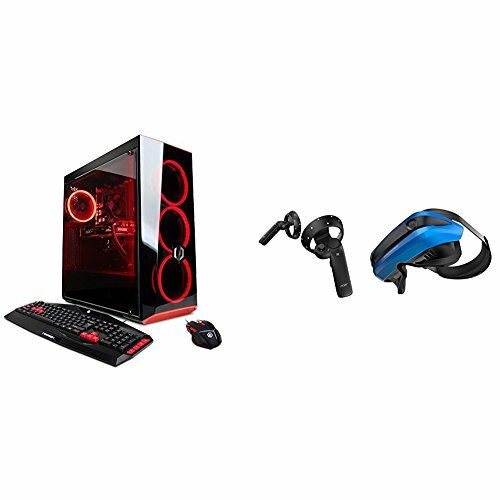 So, rather than re-hash the prior review, let’s take a look at what this VR ready PC has that its brother doesn’t. The T069Z has two rather significant upgrades over the T044Z: a 512GB m.2 SSD in place of a 1TB platter drive, and 16GB of RAM instead of 8GB. What you lose in terms of storage with the SSD, you’ll more than gain in speed. Frankly, this is a great trade-off, as the m.2 SSD is blazing fast in comparison to a platter drive. The 16GB of RAM exceeds most of today’s needs and is a great bit of future-proofing. An even more solid machine than the T044Z. This machine easily exceeds all of the requirements of today’s VR headsets and is well positioned to meet future needs. The CUK Switch 77 basically has everything you can hope for in a gaming rig. The eighth generation i5 processor is phenomenal, the 16GB of DDR4 RAM will meet all of your needs, and the NVIDIA GTX 1080Ti with 11GB of video RAM is the top of the line. The case and the number of fans provide adequate airflow, so overheating shouldn’t be an issue. CUK even negates the need for having to choose between speed and storage by installing an SSD for speed and a standard hard drive for storage. If you had to nitpick any shortcomings of this machine, I would criticize the inclusion of a stock CPU fan, rather than an aftermarket fan like the Hyper 212 EVO or even liquid cooling. Also, the 600W PSU doesn’t leave much extra power for growth. All told an incredible machine. The GXIVR8020A4 from CyberPowerPC is a fairly respectable entry in our lineup of VR ready PC desktops. Just like the ASUS RoG T044Z above, it features a 7th generation i5-7400, 8GB of DDR4 RAM, and a 1TB HDD. 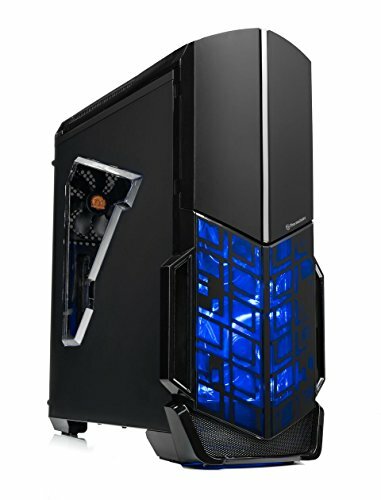 Unlike that machine, it features a more conventional tower-style case for better airflow and a different graphics card. In this instance, CyberPowerPC uses the AMD Radeon RX 580 with 4GB RAM. When compared to the NVIDIA GTX 1060 3GB model that the T044Z uses, independent benchmarks show that the AMD RX 580 outperforms the GTX 1060 in several key areas like speed and FPS on several games (http://gpu.userbenchmark.com/Compare/Nvidia-GTX-1060-3GB-vs-AMD-RX-580/3646vs3923). However, some people just don’t like AMD for whatever reason. That being said, it’s inclusion in the GXIVR8020A4 gives a nice alternative to choose from. The second of our CyberPowerPC units is the GXIVR8160A, and this one is a fairly sizable step up from its little brother GXIVR8020A4 and is more comparable to the CUK Switch 77 mentioned above. 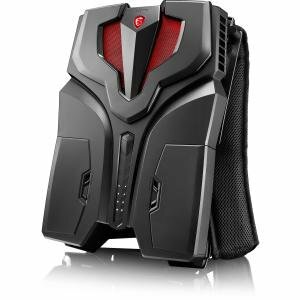 The GXIVR8160A sports an 8th generation i7-8700K 3.7GHz 6-core processor, which is one of the current top of the line CPUs. The unit also sports 16GB of DDR4 RAM, a 240GB SSD, and 2TB HDD. In terms of GPUs, this unit has an NVIDIA GTX 1070 8GB model. Looking at the Switch 77 and the GXIVR8160A side-by-side you notice two major differences: the processors and the GPUs. The Switch 77’s 1080Ti GPU is far and away better than the 1070. Whereas the i7-8700K is much better than the i5-8400 and is unlocked for easier overclocking. In short, if you want better graphical processing, the Switch 77 is better, but if you want all around better performance the i7-8700K in the GXIVR8160A is best. 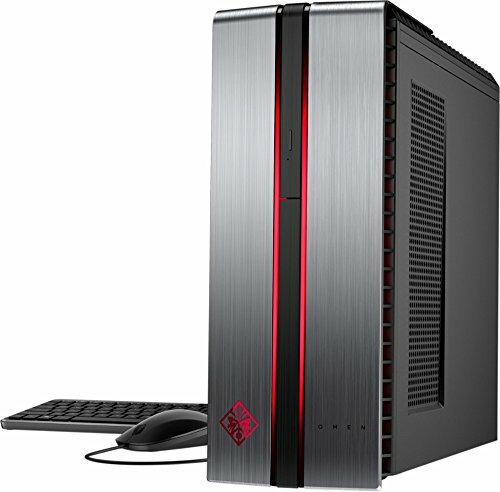 The HP Omen Gaming VR Ready desktop (870-224) is essentially an entry-level machine for VR usage, much like the ASUS GR8 II-T044Z and CyberPowerPC GXIVR8020A4. It features a 7th generation i5-7400, 8GB of DDR4 RAM, an NVIDIA GTX 1060 with 3GB of video RAM, and a 1TB standard HDD. There are two things that stand apart on this machine though, compared to the ASUS and CyberPowerPC models mentioned: first, the speed of the memory is 2133MHz rather than 2400MHz, and the Omen includes a DVD drive whereas the others do not. Why does this matter? Well, the slower RAM is akin to having a 55mph speed limit compared to the others that have a 65mph speed limit. You’ll still get from point A to point B, just a little slower. While the DVD burner is nice, most games and other software are digital downloads. The iBuyPower A900Z is quite similar to the CUK Switch 77 and CyberPowerPC GXIVR8160A we discussed earlier. The differences here are the 7th generation i7-7700K processor, the GTX 1070 8GB model GPU, the 1TB HDD, and of course aesthetics. The GTX 1070 8GB model is the same as the GXIVR8160A, which is good. The 1TB HDD is half the size of the 2TB drives offered in the other machines, but that only matters if you’re storing a great deal of data. The major difference lies in the processors. Both of the 8th generation Intel processors are 6-core processors, while the 7th generation processor in this machine is a quad-core processor. So as opposed to 6 cores each processing at 3.7GHz, this has 4 cores each processing at 4.2GHz. Will the average human notice the difference? Probably not, but it is worth mentioning. Also worth mentioning is that iBuyPower has installed an aftermarket heatsink and CPU fan on this processor, which significantly reduces the likelihood of burning out your CPU. The MSI 7RE-067US is probably the most unusual entry in this list as the ‘desktop’ is actually a backpack. This ensures you won’t get tangled up in the cords between your desktop and headset, allowing for a more immersive VR experience. The backpack comes with two hot-swappable battery packs and can also run on AC power. The i7-7820HK is a nice mobile processor, which means that it is designed for a laptop rather than a desktop so the speed is slightly slower. The GPU is the quite respectable GTX 1060 6GB model, which is a step up from the 3GB model that other machines use. The 256GB NVMe SSD is the quickest SSD that any of these machines have, so access times would be great. My concerns lie with heat dispersal and the potential to damage the unit while wearing it. VR usage can cause vertigo or dizziness, so take caution. The SkyTech Omega is another beefy gaming machine along the lines of the Switch 77, GXIVR8160A, and AM900Z. The difference here is the liquid cooling rig, which is a risk-reward option for your machine. On one hand, the liquid cooling is far superior at cooling your CPU when compared to air cooling. On the other hand, if the compressor stops or there is some other malfunction you can have liquid inside your very nice gaming computer. 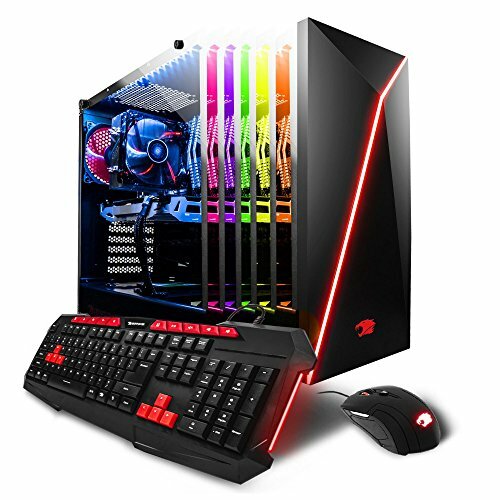 The other difference is that in this specific build of the machine, they use a GTX 1060 6GB video card, which isn’t as nice as the GTX 1070 8GB or 1080Ti 11GB models that the others use. However, there options to swap out the card online. Additionally, this unit includes the Pro version of Windows 10, if you need access to workgroups. The last model to look at is the SkyTech Shadow Gaming Ryzen/1060 model. 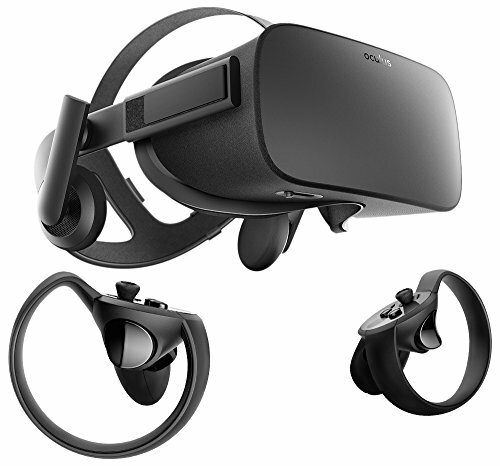 This is another one of the entry point options for VR, like the Omen and GR8 II-T044Z. 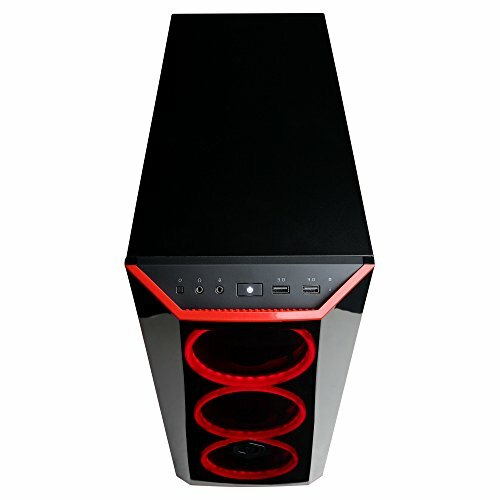 It has many of the same features such as 8GB DDR4 RAM, GTX 1060 3GB GPU, and 1TB HDD. This unit appears to have better airflow than most of the other entry-level units as well. The main difference is the AMD Ryzen 3 1200 processor. This is one of the ‘minimum requirement’ processors for the Oculus Rift, and probably below the requirements for the HTC Vive. The processor is roughly comparable to either a 6th or 7th generation Intel i3 processor, so it is less powerful than the i5 and i7 processors from the others.